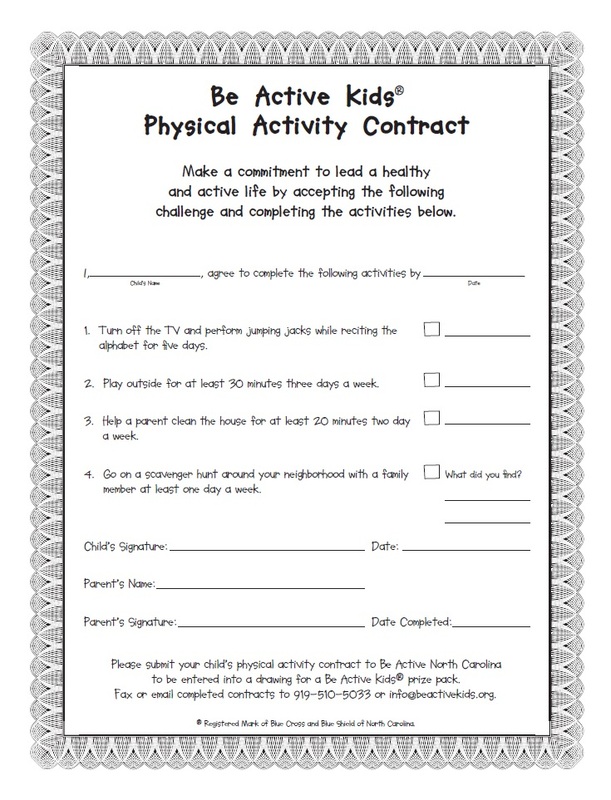 Make a commitment to leading a healthy active lifestyle by signing the Be Active Kids' Physical Activity Contract. Send your child with appropriate clothing to day care or preschool, so he/she can being active despite the weather. Keep a ball or Frisbee in your car, so you can be active on your way to/from an errand or if you're driving by a park and have a few minutes to spare. Schedule time during the week to have active and fun family times like Fun Fridays when you play active board games or let family members choose a physical activity to enjoy together. Make physical activity goals for the family and reward yourself when you reach your goals. For example, getting 60 minutes of physical activity every day or trying a new physical activity each week. Use the Let's Move Family Calendar to track your goals and accomplishments. Make physical activity part of your holiday traditions. Take a family hike after the Thanksgiving meal or visit a new state park on Memorial Day.